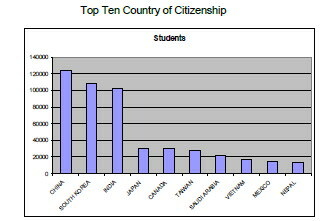 The main qualitative distinction between the two sources of data is that Open Doors includes higher education enrollments only, while the SEVIS/SEVP reports encompass all types of institutions (e.g., high schools, language training, vocational schools, colleges and universities) and all visa categories. 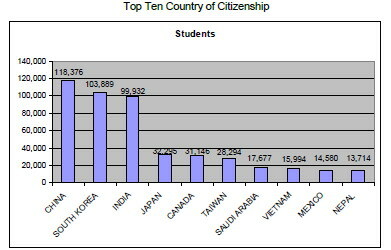 According to the March 2010 report (PDF), there are over 16,000 Vietnamese studying in the U.S. and Vietnam ranks 8th among all sending countries. California, New York, Texas, Massachusetts, Florida and Illinois have the highest number of active students. Together these six states host half of all international students in the U.S. 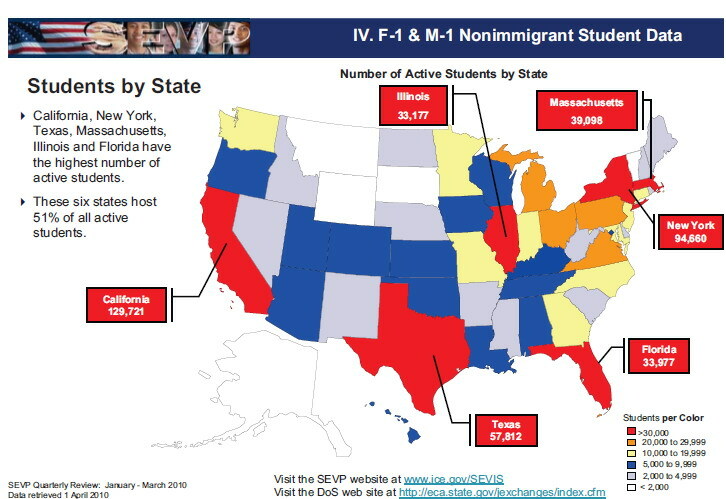 The top three host states for Vietnamese higher ed students are California, Texas and Washington. There is considerable untapped potential in many of the 47 other states.